Empty square near the Old Port. 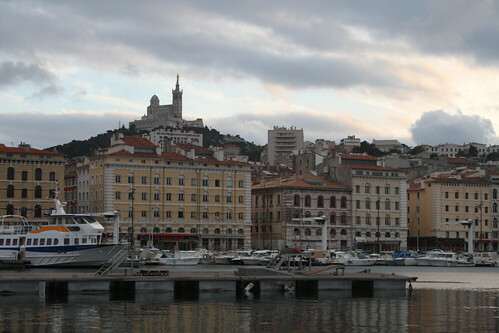 "Marseille is like New York City minus Manhattan," my brother remarked as we wandered the streets of France's second-largest city. It certainly has the ethnic diversity, grittiness and reputation (when it comes to Marseille most travel guides and websites are all, 'OMG, pickpockets!' but for the record we didn't have any problems) of the outer boroughs, but it also means that the city has a rich history and thus, in some ways, more character than Paris. The historic area, near the Old Port, consisted of winding alleyways and pedestrian passages, meaning few cars but endless piles of dog poop. (Apparently not cleaning up after your pets is a national phenomenon). It also seemed to be a hub of cultural renaissance (read: hipsterdom) judging from all the galleries and boutiques. But what struck me the most was the abundance of street art; quite a contrast against the classic architecture. 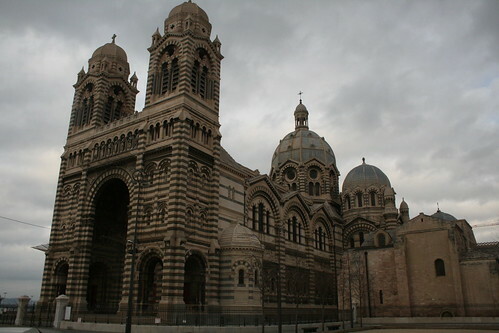 Speaking of design, Marseille has a couple of truly spectacular churches constructed in the Byzantine style whose "striped" stone exterior is quite different from anything else I've ever seen in Europe. 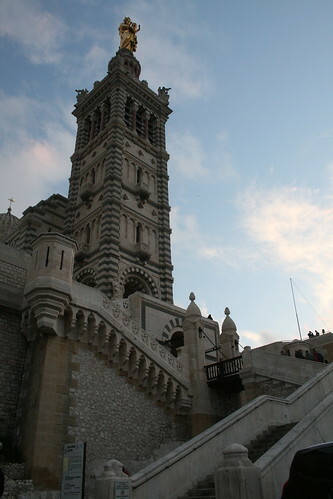 The Cathédrale de la Major (above), was closed on the day that we passed by, but by happy coincidence we caught the last part of Christmas mass at Notre-Dame de la Garde (below - from a distance, and up close after a rather harrowing bus ride). We attempted to visit Château d'If, the Azkaban Alcatraz of Marseille (not to mention an inspiration for Alexandre Dumas' The Count of Monte Cristo), but the weather conditions didn't allow it. We weren't the only ones disappointed; as we stood around the dock regrouping, another tourist approached and vocally expressed his displeasure at the sign saying all boats to the island were canceled. Below: some street art and graffiti from around old town. 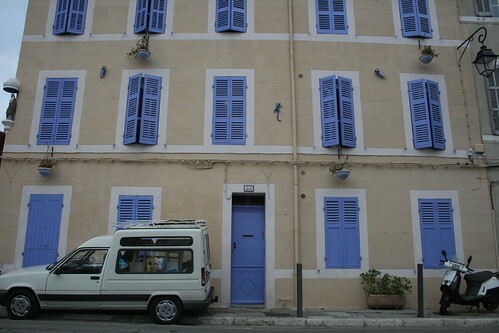 More of Marseille on Flickr and, next time, what we did instead of visiting the prison.